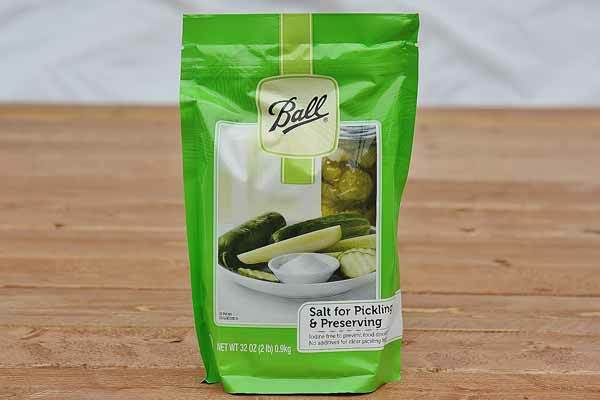 Authentic pickling salt with no additives, iodine, or anti-caking ingredients! Make delicious, crunchy pickles with genuine salt for pickling. You will never use regular salt again! Comes in a large 32-oz. pouch. Makes about 5 (16 oz) pints. Made in the USA. Contains no iodine to prevent discoloration.